About to make his first major league start for the Angels in late July 1986, Ray Chadwick told The Los Angeles Times that the thought of his debut still hadn't hit him yet. "I guess I won't know what it will be like until I get there," Chadwick told The Times. Regarding the possibility of sticking with the big club, Chadwick told The Times "I guess I make my own destiny." Chadwick, who The Times wrote flew in his grandmother for his debut, soon found out what it was like. And it was a string of disappointments. First, one loss, then another. By the time his season was over, Chadwick had a total of five losses, without a win. He would stay in baseball for four more seasons, without seeing the majors again. Chadwick's career began in 1983, taken by the Angels in the 16th round of the 1983 draft. He started that year at short-season Salem, getting a win in an August game against Spokane. He hit AA Midland in 1985 and AAA Edmonton in 1986. Called up to California in July, Chadwick made his debut July 29 against Oakland. It was a quality start. He gave up four hits and two earned runs over six innings. The Angels and Chadwick lost 4-2. His next start was not quality in any sense of the word. He lasted just five batters against Seattle, giving up four hits, a walk and four earned runs before being pulled, all without recording an out. "Chadwick had only one pitch get over the plate, and that's not enough," Angels manager Gene Mauch told The Times. "He got two or three of them over in Oakland--changeup, breaking ball and fastball. Today, all he had was a fastball." By Aug. 30, the quality was back, six innings, three earned runs. This time, a no decision, but the Angels won. Despite the improvement, he also learned then he wasn't going to make the Angels post-season roster, The Times wrote. "I'm disappointed, but it wasn't like I didn't expect it," Chadwick told The Times. "We've got a pretty solid bullpen and four very solid starters. I just wish they would go to the 25-man roster instead of the 24." "Now, I just hope I can do my part," he told The Times, "whatever I can to help this team get there." Chadwick's fourth loss came Sept. 5, four earned runs in 3.2 innings doing him in. After the game, Chadwick did not talk to reporters, The Times wrote. A 3.1 inning, four-run performance Sept. 22 proved loss No. 5. One more outing, a no decision Sept. 30, and Chadwick was done. Chadwick returned to Edmonton for 1987 before signing with the White Sox for 1988. He ended up in Omaha for 1990, getting there by way of the Boston system. 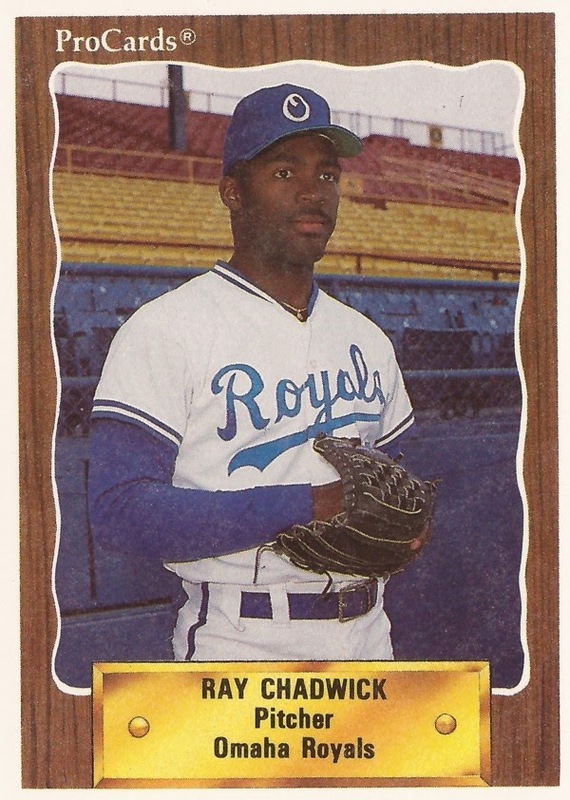 Chadwick was 7-11 for the Omaha Royals that year, his final year as a professional player. After his time as a player, Chadwick has gone on to a career as a coach. Since 2003, he's been the head coach of the Thompson Rivers University baseball team in British Columbia.